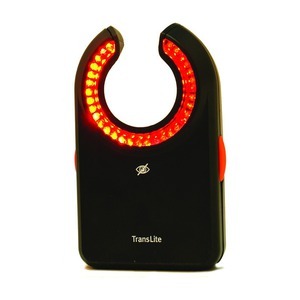 “Just snap it.” It's a reusable device – hence great value! Health Care Industries use millions of ampoules annually. Breakages, cuts and contamination of contents have always been a safety concern resulting in wasted resources. 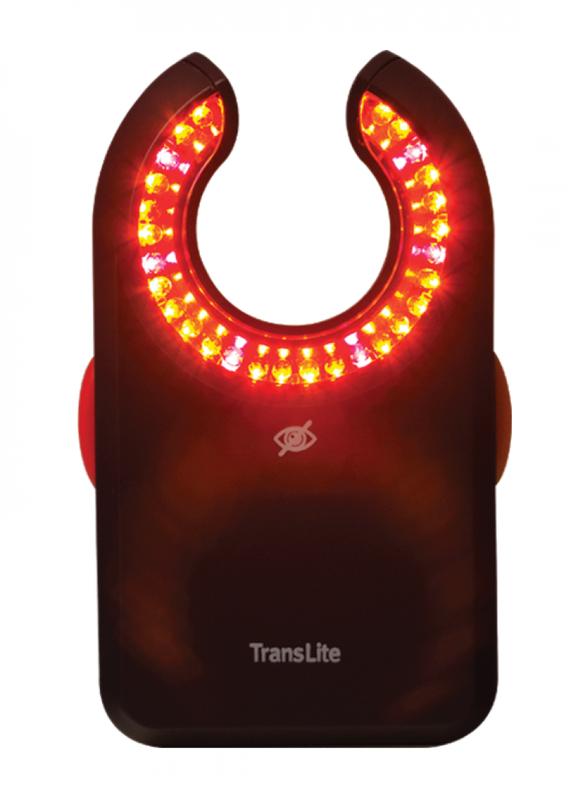 The Snapit Solution is simple, safe and cost effective. 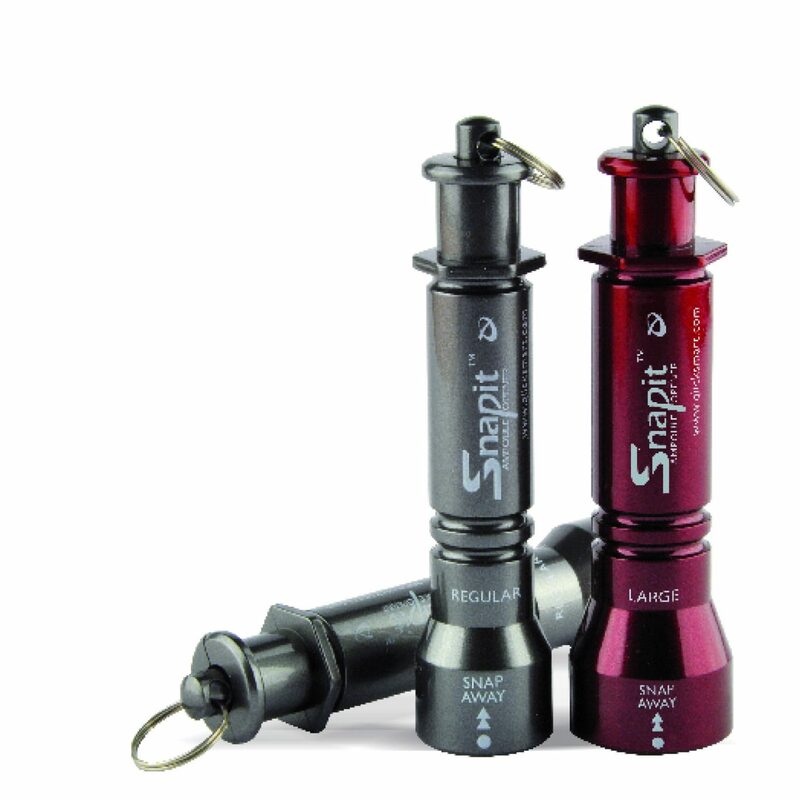 Snapit is made from durable, anodised aluminium ensuring a once only investment provides ongoing safety. 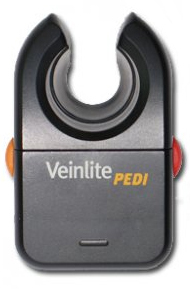 “Just snap it.” It’s a reusable device – hence great value! Holds the lid until ejected. 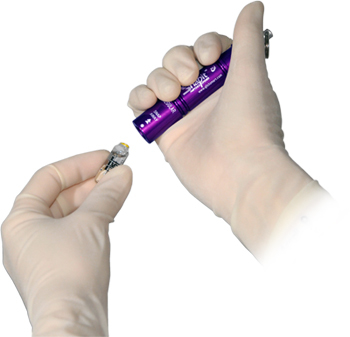 Most people who work with ampoules have suffered an injury from breaking an ampoule. Furthermore, the very sharp edge on both the ampoule and the ampoule lid when the neck of an ampoule is snapped off can cause serious cuts. 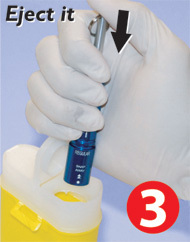 Snapit reduces the risk of sustaining a sharps injury by keeping hands out of harms way. No stress on wrists when snapping off ampoule lid. Anywhere glass ampoules are being used. Snapit can be used with almost all brands of ampoule!Is the Ampoule Opener Latex Free? YES, it is latex free! 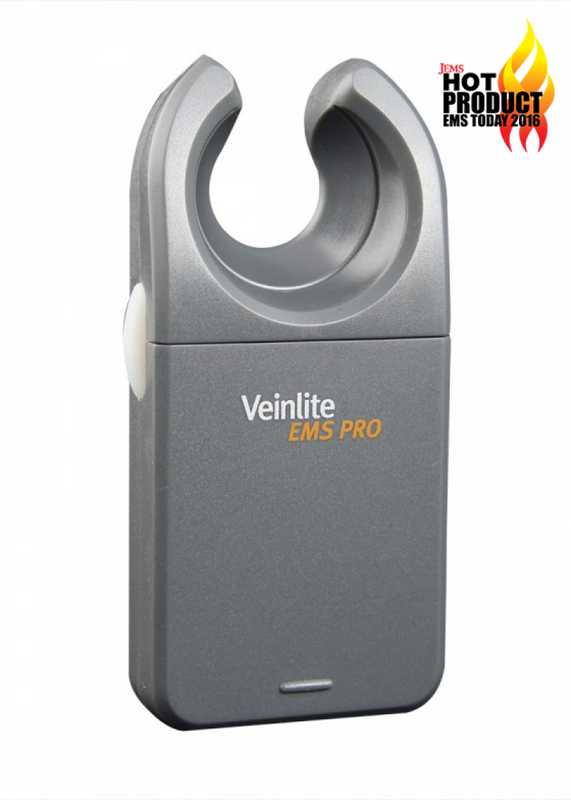 It is made of durable, anodised aluminium. The O-ring inside is made of silicone rubber.Is there a one-size-fits-all? No. Snapit comes in two sizes – regular and large. This is due to the different widths of ampoule lids, depending on the ampoule size.Compatibility depends on the ampoule’s geometry and the diameter of the ampoule lid. 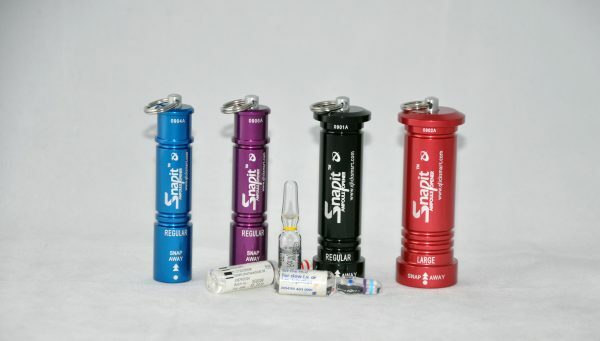 Ampoules of the same size can have a different geometry and ampoule lid diameter. 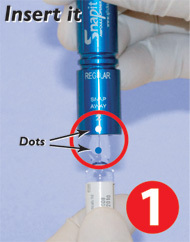 The ampoule size in mls is used as a guideline. Material: Plastic (body), Silicon (O-ring), Stainless Steel (Keyring and Spring). Material: Anodised Aluminium (Body), Silicon (O-Ring), Stainless Steel (Keyring and Spring). 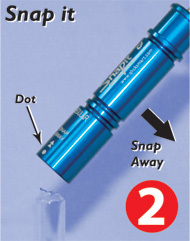 Total Ampoule Solution – Just Snap, Clip and Check!